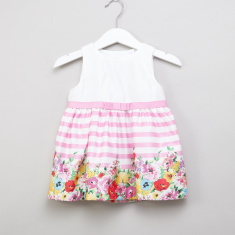 A comfortable addition to your baby girl's wardrobe, this sleeveless dress is sure to make her look absolutely adorable. It features a round neck and comes with button closure at the back. 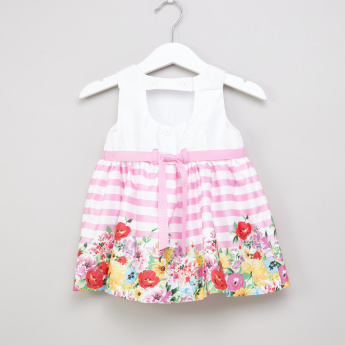 The fusion print and the bow detail elevate its overall appeal.